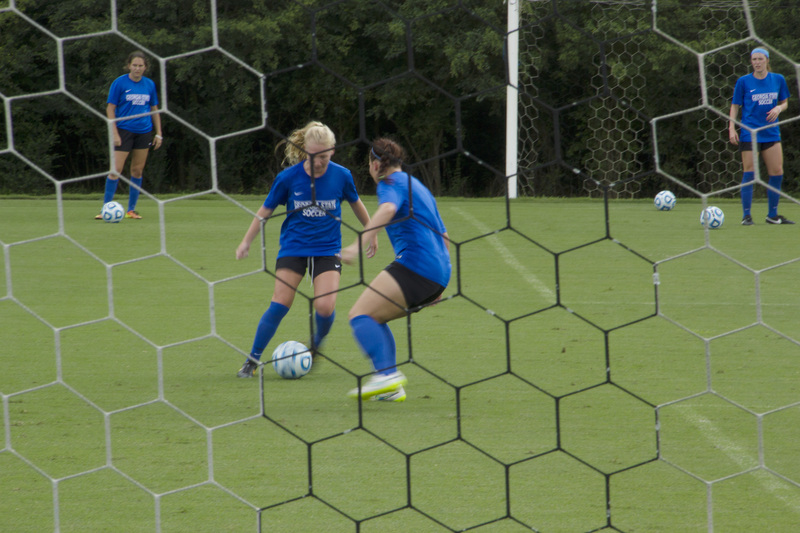 Georgia State’s Women’s Soccer team came out of summer vacation on fire with a 3-0 start. This is the best start for the program since the start of the 2010 season, when the Panthers started 4-1. Georgia State opened regular season play in Montgomery, Alabama. The Panthers defeated Alabama State 5-0 in game one to win their first season opener since 2010. Junior Suzanne Arafa opened the season with a hat trick. Lauren Harriman opened the scoring in the first half and finished the match with a goal and an assist. Senior Callie O’Connor scored the second goal and Arafa did the rest of the scoring for the Panthers. Junior Brie Haynes started in goal and picked up the win for the panthers without having to stop one shot on goal. Haynes was later relieved in the last seven minutes and 20 seconds of the game by sophomore Anastasia Swift. The Panthers headed home to face Kennesaw State in the home opener. The team defeated Kennesaw State 3-2. O’Connor put the Panthers in the lead for good in the final 10 minutes of the game. Haynes picked up her second win of the season and recorded nine saves. Freshman Monique Hundley scored the first goal of the game putting the Panthers up 1-0 early but the Owls would tie the game and go to the half tied 1-1. Junior Alexis Thomas scored early in the second half to put the Panthers up 2-1. The Owls tied the game up and the tie held until O’Connor’s game winning goal. The Panthers headed to Jacksonville for a two slate. The team was scheduled to play two games in Jacksonville but had to settle for one game in the sunshine state as the second game against North Florida was cancelled due to rain. The Panthers were able to win the first game against Jacksonville in a close, thrilling 1-0 game that went into double overtime. O’Connor won the game for the Panthers at the 103 minute mark in the second overtime. Senior Christa Fox started in goal and picked up her first win of 2015 and recorded seven saves. Head Coach Derek Leader doesn’t want the Panthers to be satisfied just yet. He knows that it is a long season and that the Panthers still have work to do to reach their ultimate goal. The Panthers have made the best of their opportunities so far this season and have scored nine goals in the first three games. “We were able to create many chances on goal and we were good enough to finish our opportunities when it mattered,” Coach Leader said via email. There are things that the team still needs to work on improving such as ball movement. “Ball circulation and taking up quick and precise supporting positions early,” Coach Leader said in an email. The Panthers head to Huntsville, Alabama to face Alabama A&M Sep. 11 and then come home to face Western Kentucky Sep. 13.